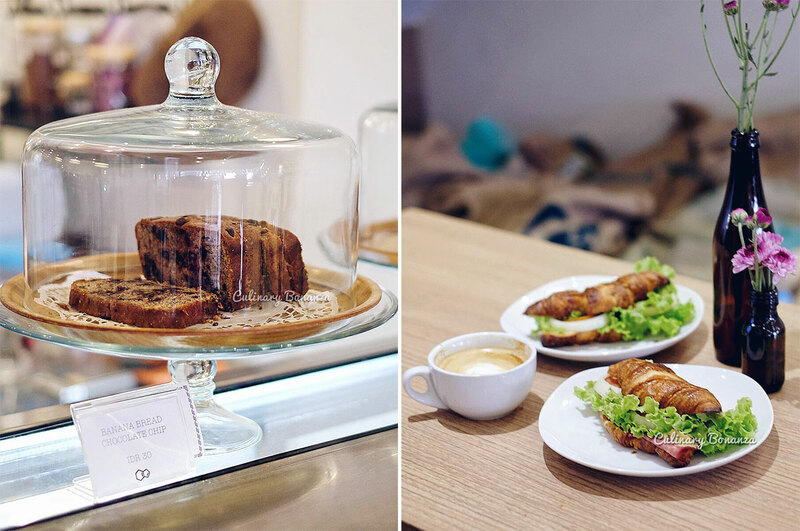 This is a really exciting time for coffee lovers everywhere, whether you are old souls or even new converts of just coffee hunters for leisure (and Instagram purposes), because new places seem to spring up from nowhere, each day! The trend is picking up rather fast in Jakarta and even I am having difficulty to visit the newly opened coffee shops. But there is one particular coffee shop 'dispensary' in North Jakarta that's caught my attention, for its effort to organize free coffee cupping sessions for public! I mean why are they doing it, it's almost like charity, throwing away those precious coffee for strangers to try and these strangers may not even be their customer at the end of the day! So, armed with this skepticism and curiosity, I accepted their 'prescription' to attend one of the 3 coffee cupping sessions held that particular weekend. The Caffeine Dispensary is unique in several ways, firstly, its name, which is intended as playful twist for the meaning of the word dispensary. In classic English, 'dispensary' refers to to a charitable or public facility where medicines are dispensed to the needy for almost free or inexpensive medical advice is available. So, The Caffeine Dispensary (I'll short the name to TCD henceforth) could be considered as a place that dispenses caffeinated 'medication' in various forms, to keep our harsh lives slightly more bearable. Next, is TCD's rather uncommon location. For those residing in Kelapa Gading area in North Jakarta, they would certainly already realize the rise of independent coffee shops amongst their neighbourhoods. Oh lucky them! This trend has yet reached my area, but I'm still hopeful. TCD is not the pioneer of this trend in the area, but it's certainly not going to be the last. Having first opened its doors on 19 September 2015, I'm predicting that Kelapa Gading will not be TCD's only chapter. Whoever knows what might happen in a few years! 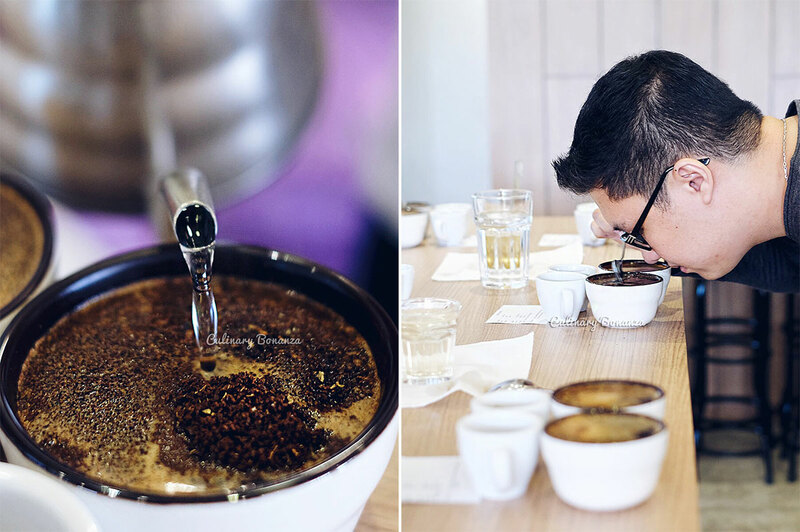 As I mentioned earlier, I was intrigued by the real intention of the free coffee cupping sessions organized by the owners, namely Ajie Permana, Edward Sanrio, and Andri Saputra. 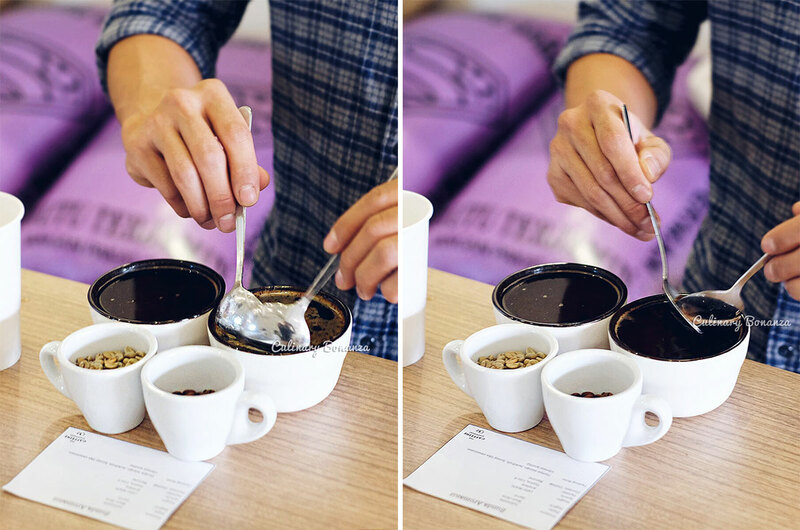 Cupping is a laborious activity to prepare, to conduct and to clean up. Even more so (laborious), as these boys do everything themselves, even washing the dishes! It's not that they can't hire staff to do all that. In fact they even offer services to train new cafe staff (it's part of the wholesale service they offer, other than roasting, supplying beans, setting up new cafe, etc) it's that they treat this project as their 'precious little baby'. Making money is definitely on the agenda (c'mon they gotta feed their families! ), but at the same time, their objective is to share their knowledge and passion about coffee through various means, and free public coffee cupping is one of it. Upon entering the cafe, those who understand interior design will notice that the counter is taking up too much space, which could otherwise be fitted with more chairs & tables (more customers = more money, right?). But no, they purposely designed the space so, as to encourage customers to approach behind the bar and interact with the guys making the coffee. I just love TCD more and more! Another interesting byte about TCD is the way its menu is phrased, reminds me a lot of cafes in Australia! So, instead of seeing Cappuccino and friends on the menu, you'll see 'Espresso Black' (just espresso and water - americano) or 'Espresso White' (espresso with varying amounts of milk / cream, this is your good ol' cappuccino, macchiato, piccolo, etc). There's also Chocolate Based drinks and this includes your Cafe Mocha. Then the coffee cupping session began, with Ajie running a few slides & sharing the basic facts about coffee (its origin, production, taste profile, etc). Meanwhile listening to him explaining, I enjoyed drained a cup of TCD's Signature Iced Latte Gula Jawa (IDR 45,000), even the palm sugar's home made! Then we proceeded to the more exciting, hands-on part. TCD's coffee cupping procedure follows that of Specialty Coffee Association of America (SCAA)'s guideline. You can find the detailed steps here. From the hands on experience, I understood that just like a living being, coffee continuously evolves with time, right from the moment it's in contact with hot water, to the moment we finally sip it. It's a fact that a lot of us took for granted and overlook, simply due to the sheer amount of coffee we've consumed and thus, lack of attention to the details. TCD's focus on its coffee and bean roasting has only one concern for those who still lacks appreciation for coffee: the food is currently still limited to what's available in the display. I was told that the Banana Bread Chocolate Chip's one of the all-time best selling food items, so this would be a safe choice if nothing else on the menu appeals to you. I can safely recommend TCD as a comfy space in North Jakarta to chill, to meet people, to learn about coffee from the owners directly, to do your assignment, even to just sit alone by the window reflecting on life or watch the life goes by beyond the glass. If you have the time, I'd strongly recommend you to register for the coffee cupping sessions, which is said to be held monthly. Attack of The Claws: Dancing Crab is Back!